At Edgewood Independent School District (EISD), teachers, staff and administrators were used to filling out a paper form for anything from requesting time off to requesting funds for a classroom pizza party. Here is how EISD eliminated more than 200 different types of paper forms and made approval processes more efficient with Laserfiche Forms. 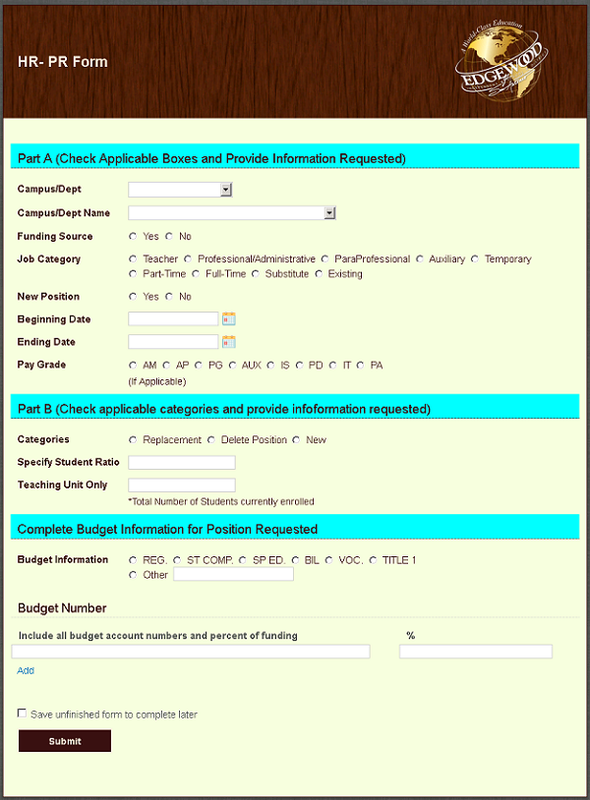 Administrators use Laserfiche Forms to request new construction projects. Safety and security officers use Laserfiche Forms for alarm code authorization requests. The EISD police department uses Laserfiche Forms to report truant students. Athletic event personnel fill out their timesheets in Laserfiche Forms on-site during sports events and submit them via their iPads. Teachers use Laserfiche Forms to request funding for pizza parties. New employees use Laserfiche Forms to enroll for benefits. Employees submit their resignation or retirement requests with Laserfiche Forms. The human resources department uses Laserfiche Forms for requesting new positions. Staff uses Laserfiche Forms to submit and approve travel settlements. A number of forms used at EISD need to go through an approval process. Principals, directors, academic officers and business/operations officers are all involved in these approvals and have administrative rights to access tasks assigned to them. 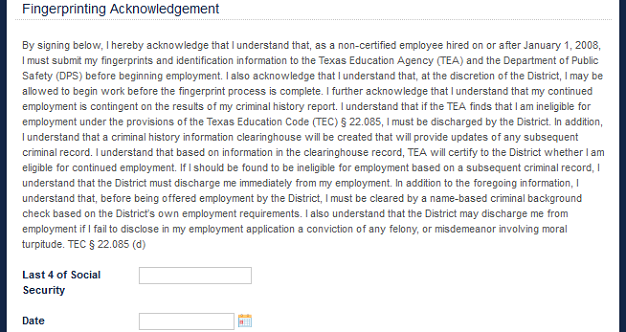 Some of the review/approval processes require signatures of approval. For each section that requires a signature, EISD has incorporated a line item where the submitter must enter the last four digits of his or her social security number as a replacement of the physical signature. Once a form has been submitted, Laserfiche Workflow applies a digital signature corresponding to the name of the approver. 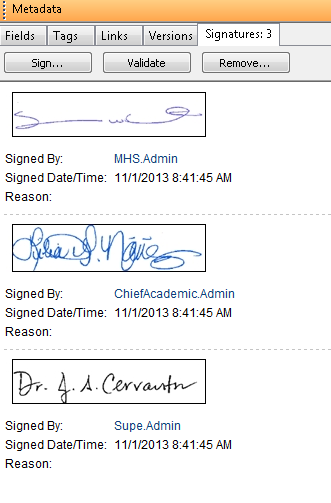 We added signature certificates for each principal, director, academic officer and operations officer. Every form used by the human resources department is part of a larger business process. 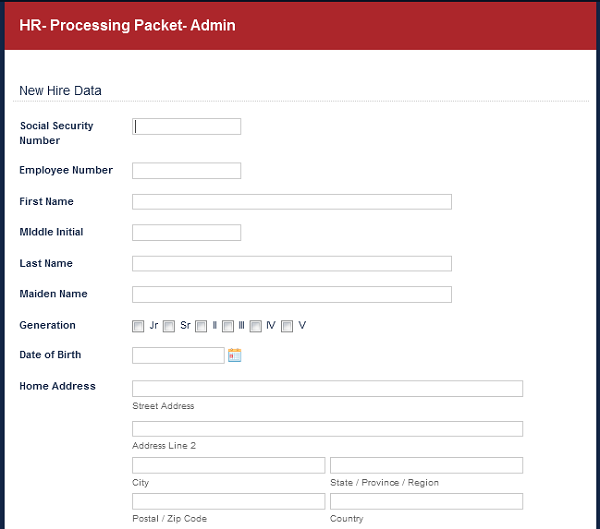 Here is an example of the HR-Processing Packet form that initiates the new employee onboarding process. Once the employee has submitted the form, it is automatically sent to an HR specialist for review and approval. The HR specialist makes any necessary changes before approving and submitting the form. This action triggers Laserfiche Workflow. 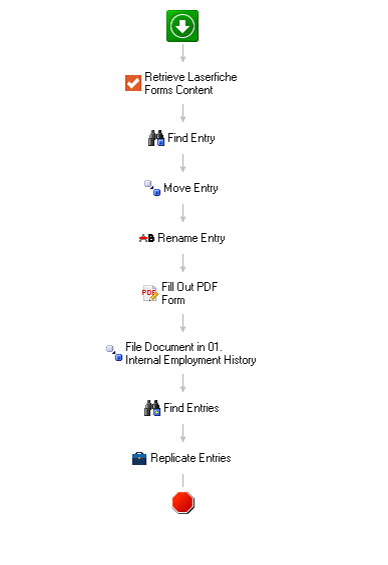 Laserfiche Workflow populates the standard EISD HR processing PDF form with the data extracted from Laserfiche Forms and stores it in a new folder in Laserfiche. Not all paperwork that a new employee must fill out can be electronic. One example of this is certain tax forms. The employee fills out and signs the tax forms by hand. An HR specialist then scans them directly into Laserfiche. He then selects the type of form from a field in the template that routes the tax forms to the employee’s folder in Laserfiche. Consolidate several paper forms into one Laserfiche form by using the rules to make certain sections appear only if particular criteria are met. 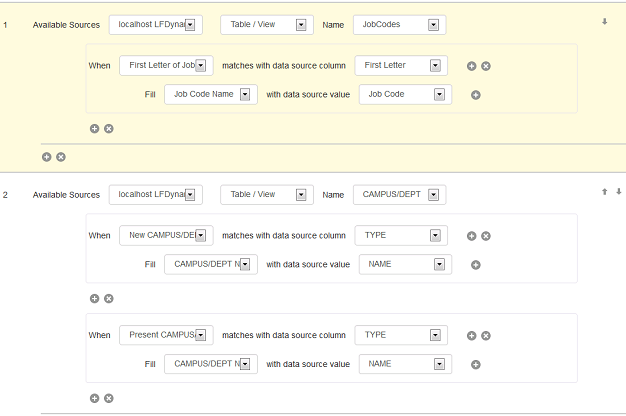 Simplify forms completion by using database lookups. Prompt the user to enter his ID and configure the system to populate other information such as name and job title directly from the database. 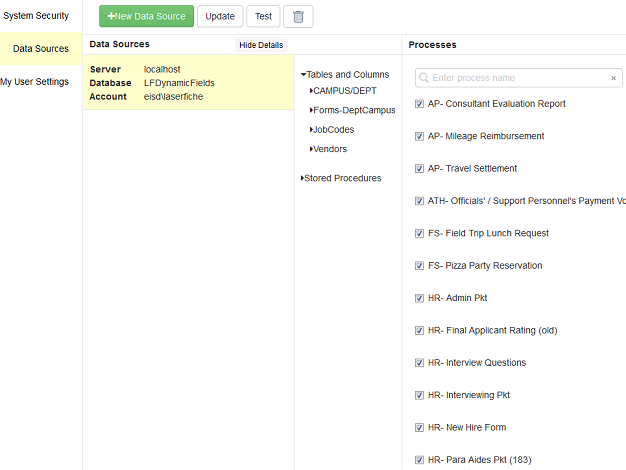 This can reduce data entry errors and make filling out forms faster. 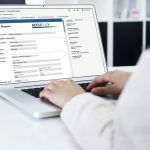 For example, any form that is filled out by an EISD employee populates the employee’s name and other identifying information based on the employee number entered. Form submitters can see where in the review/approval process their form is at all times. 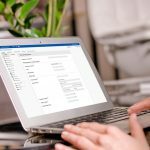 Reviewers and approvers are notified by email of pending tasks so that they are able to act on them immediately. Everything is stored in one central location and can be accessed by anyone with the appropriate permissions. 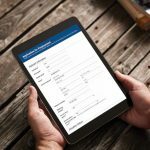 Users can easily fill out and submit forms from a mobile device when they are out of the office or classroom. Get the complete guide to Laserfiche Forms and see how electronic forms have helped other organizations like Edgewood ISD get rid of paper and inefficiency.